Marble, limestone, granite, etc. (All natural stone) as well as terrazzo. 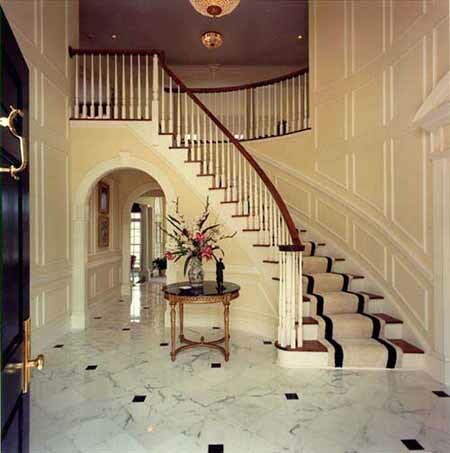 Floors and walls, lobbies, foyers, bathrooms expert stripping and cleaning including hand brushing of grout lines expert grout repair and touch-up. Expert polishing to restore high luster expert sealing using the most durable sealers available! 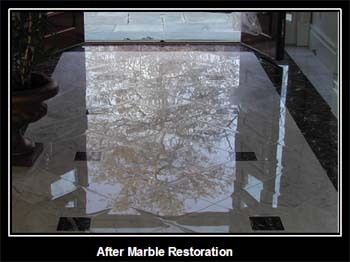 Our clean, grind, and polish process uses diamond abrasives and polishing compounds/powders to restore a brilliant luster to marble, terrazzo, and other surfaces. Grout lines are thoroughly cleaned using appropriate cleaning agents and brushes. Copyright 2009 Washington Marble Polishing. All rights reserved.